St. Gallen, Stiftsbibliothek, Cod. Sang. 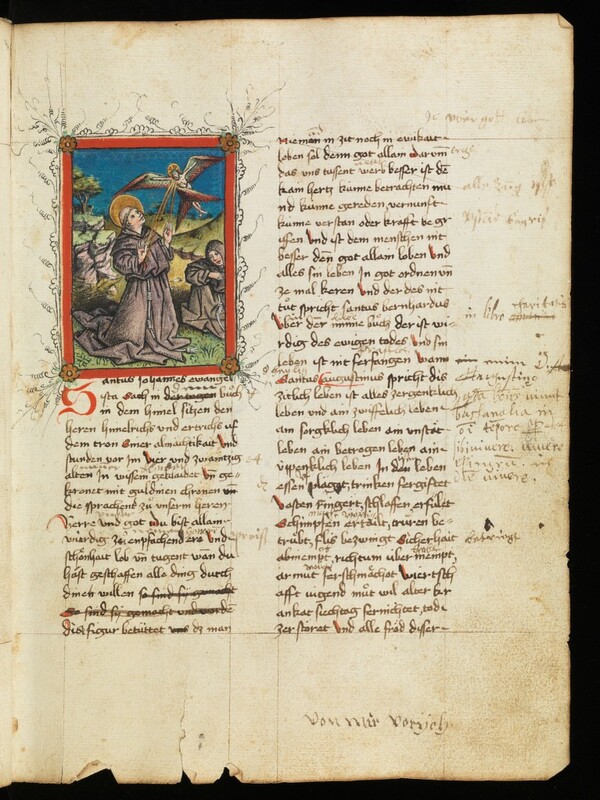 987: Illustrated composite manuscript of edifying texts from the community of lay brothers of the Monastery of St. Gall with three edifying treatises in German (http://e-codices.unifr.ch/en/list/one/csg/0987).